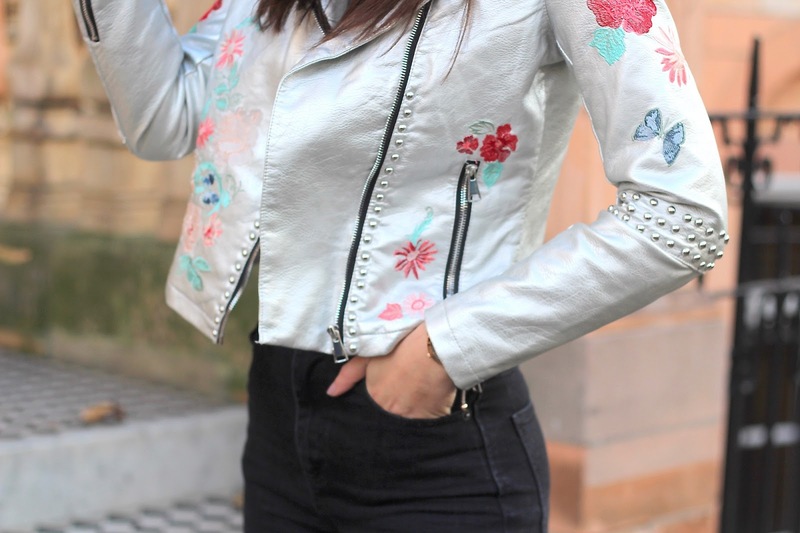 Who'd have thought an embroidered silver jacket would come so highly appraised? After posting a sneak peak of this jacket on my Instagram last week, I knew it was going to be a hit throughout the festive season. Glamorous have got it seriously right with this silver jacket, it's simply perfect! In a bid to not completely overwhelm you with colour, prints and textures, I decided to pick out a grey roll neck jumper (roll neck, of course) which I think works really nicely with this jacket actually! Along with a pair of black mom jeans, my beloved ASOS farleigh jeans of course, and some black ankle boots from Public Desire to keep things simple on the bottom. Loving this jacket girl! I really want to get a Baby blue one that I spotted ages ago and I'm determined to get it! Loving this silver one and need it in my lifeee!